I honestly have no idea what this thing might be. It was found in one of the offices today. I do know it is intended to be a potato but its purpose is unclear. 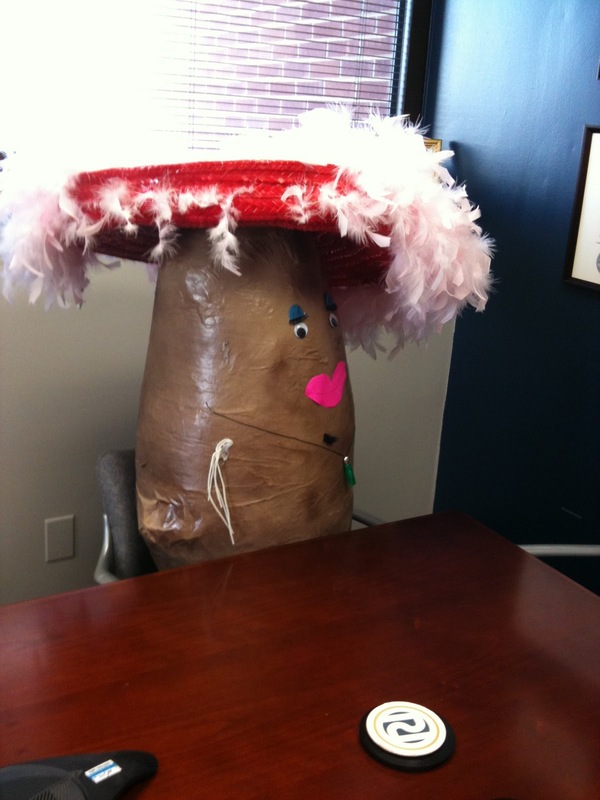 With a feather boa glued to the sombrero and notes attached to the top can distract from the fact that there is a 3 foot paper mache potato at your desk. It is possible that this item is used for education or a mascot. I wanted to keep it for a White Elephant gift in next year’s exchange.